The B Blinded is the future of blinders. A powerful blinder with a 2 x 110W tunable warm and cold white LED engine. The output can be compared to DWE 2 x 650> but with many extra funtionalities. No dimmer, less cables, but more functions with faster installation and more creativity. 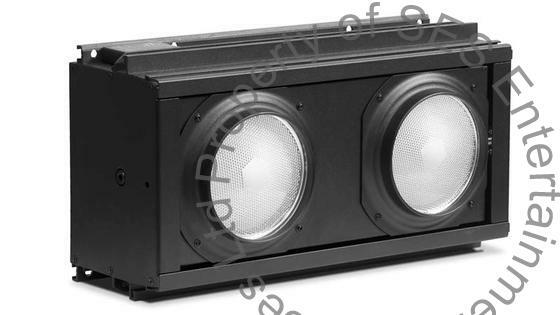 Furthermore the versatile fixture is arrayable to make a 4-6 or 8 lite blinder unit. - DMX mode: 1/2/4/6 Ch. "We have a great relationship with SES, they have been building our fleet distros for many years. Not only do they build what we want, when we want it, they understand the way we work and accommodate all our demands. They are also a great bunch of people".